Vainstream is never late to the party. Following the bombarding of announcements for the festival season of 2019, one of our favorites kept their cards closed until the right time. 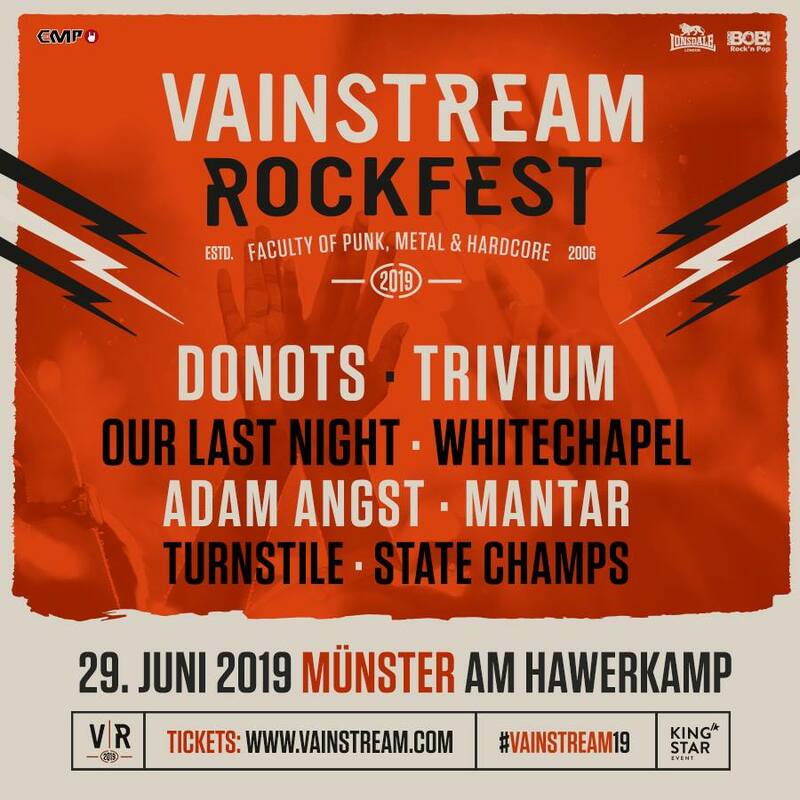 Much like every year, we have the first bands to perform at Vainstream next year, which for the time being include Donots, Trivium, Our Last Night, Whitechapel, Adam Angst, Mantar, Turnstile and State Champs. 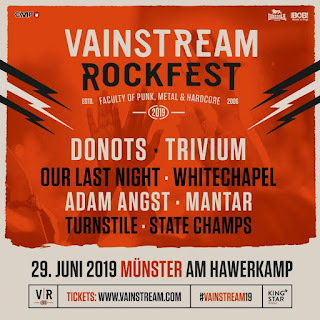 Vainstream is taking place on June 29th in Munster, Germany. For tickets and info, visit www.vainstream.com.